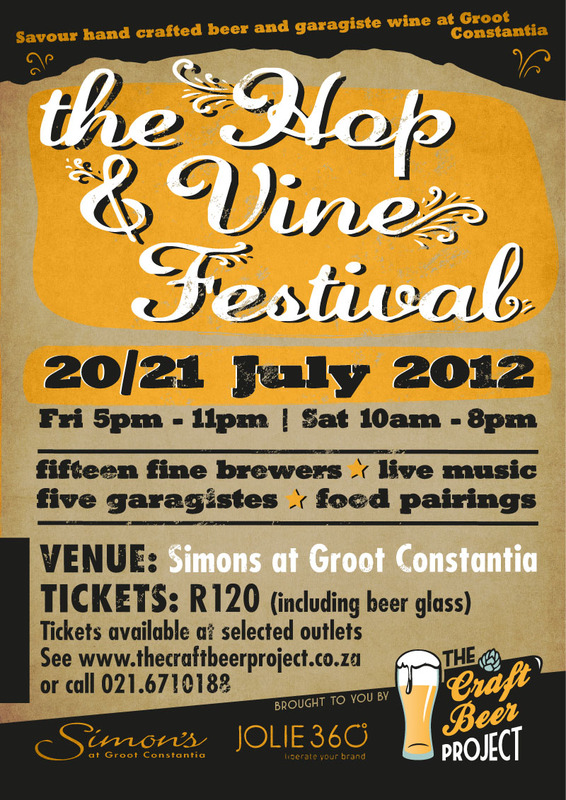 Here’s a chance to win a ticket to the Hop ‘n Vine Festival at Simon´s Groot Constantia. Homebru.net has 4 tickets to the festival to give away to its readers. You just have to let me know what you want to read about on homebru.net.You could do that on homebru.net, comment on facebook, twitter or just send an e-mail. The 4 tickets to the event will be given away by a random draw. The winners will be announced Wednesday 18 July. (I need the email addresses of the winners who will then receive a 100% discount code to book their ticket online with quicket). Why: Because beer and wine isn’t only for summer!